Childrens white robe in soft terry towelling material for comfort and absorbency after bathing combined with easy care and quick drying. Fits approx size 8-9 years. 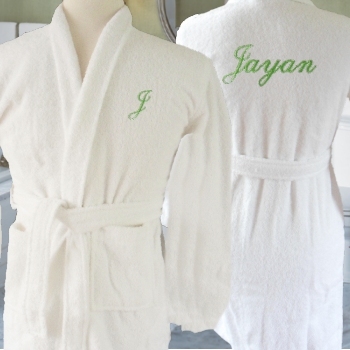 This kids robe will be customised to order within 3 working days.